It should be stated at the top that it’s not all bad. There’s an interesting premise here, picking up AFTER an alien invasion, checking in with various groups of people that want to stage a resistance years after humanity has already lost the fight against its new overlords. The creatures look pretty cool! And John Goodman really is trying… But where Rupert Wyatt’s (the excellent Rise of the Planet of the Apes) script starts out inspired, it unfortunately heads in the direction of cliche after cliche, characters who do things that just make you ask “why” every few minutes, and worst of all, dialog that feels like it’s straight out of a video-game. “I always did believe in life after death,” one character tells another who he hadn’t seen in years. Who talks this way? People in corny low grade action flicks or video-game cut scenes, that’s who… And for a film that starts with a unique sci-fi premise, it’s a shame to see things go in that direction. Captive State feels in a lot of ways like something that could have worked really well as a Netflix series. 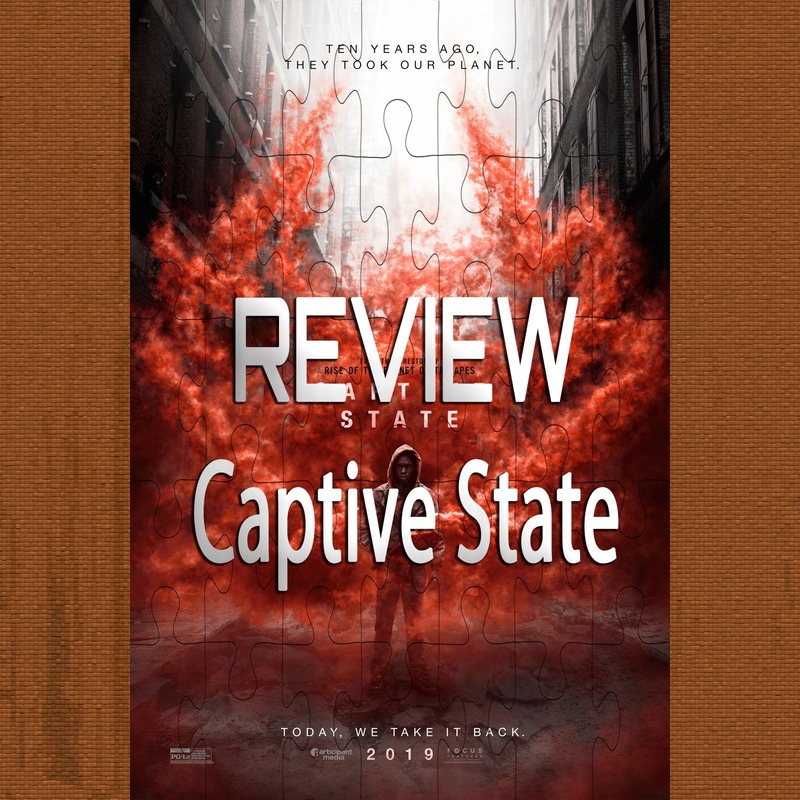 Those of you who follow our show know that I’m partial to theatrically released movies, but sometimes it really is best to keep these kind of things for the small screen… And sometimes it’s even better if they’re spread out over a season and give the characters time to grow and breathe… I think Captive State is a perfect example of a movie that would have worked better that way. When the trailer first came out for Captive State, it almost seemed like we were getting a new secret Cloverfield movie based on the effective use of secrecy in a cool looking genre story… Then again the Bad Robot and Paramount logos were nowhere to be found but HEY, that’s J. J. Abrams for you! What we got though is a pretty run of the mill sci-fi film that certainly tries its best, but doesn’t deliver.